[144 Pages Report] The global distributed energy resource management system market was valued at USD 261.7 Million in 2016 and is expected to grow at a CAGR of 15.70%, from 2017 to 2022. Increasing share of renewable power generation in energy generation mix, reduced costs of wind power, photovoltaic system and battery storage, and shift from centralized to de-centralized power generation are major drivers that would trigger the distributed energy resource management system market. This research study involved the use of extensive secondary sources, directories, and databases, such as, Hoover’s, Bloomberg Businessweek, Factiva, and OneSource, to identify and collect information useful for a technical, market-oriented, and commercial study of the global distributed energy resource management system market. Primary sources are mainly industry experts from core and related industries, service providers, technology developers, standard and certification organizations of companies, and organizations related to all segments of this industry’s value chain. The points given below explain the research methodology. The distributed energy resource management system ecosystem comprises energy software companies such as AutoGrid Systems, Inc. (U.S.), ABB, Ltd. (Switzerland), Spirae, Inc. (U.S.), Schneider Electric (France), and Enbala Power Networks, Inc. (Ontorio) among others; smart grid solution companies such as Open Access Technology International, Inc. (U.S.) Siemens AG (Germany), Doosan GridTech, Inc. (U.S.), and Sunverge (U.S.), among others. The global distributed energy resource management system market is projected to grow at a CAGR of 15.70%, from 2017 to 2022, to reach a market size of USD 603.6 Million by 2022. This growth is attributed to increasing share of renewable energy in total energy generation mix, government mandates, and decreasing cost of solar PV and energy. 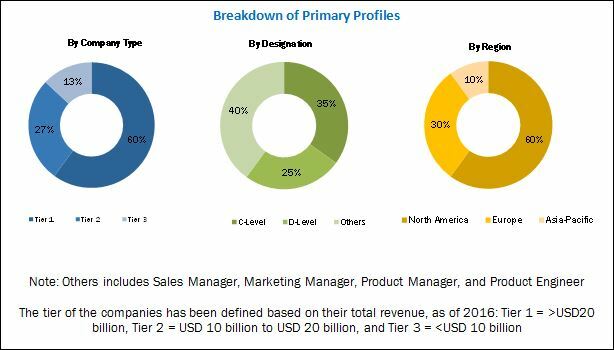 The report segments the distributed energy resource management system market, on the basis of technology, into solar PV, wind, energy storage, CHP, and others. The growth of this segment is primarily driven by increasing deployment of increasing solar PV installation in the household sector, as well as commercial buildings in North America and other parts of the world. Moreover, Europe and some countries of Asia-Pacific such as Australia, Japan, and South Korea also present opportunities as power de-centralization is on rise in these regions. The distributed energy resource management system market has been segmented, based on software, into analytics, management and control, and VPP. The analytics sub-segment, within the software segment, led the distributed energy resource management system market in 2016, and is projected to dominate the market during the forecast period. The analytics segment is expected to grow at the fastest rate during the forecast period. In this report, the distributed energy resource management system market has been analyzed with respect to four regions, namely, North America, Europe, Asia-Pacific, and the rest of the world. The market in North America is expected to dominate the global distributed energy resource management system market, during the forecast period, owing to increased renewable energy generation, especially in the U.S.
Regulatory issues related to DERs could be a restraint for the distributed energy resource management system market, leading to declining profits. 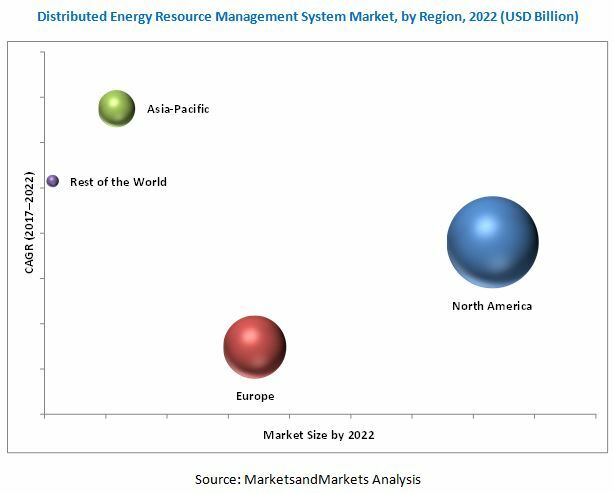 Leading players in the distributed energy resource management system market include Siemens AG (Germany), ABB, Ltd. (Switzerland), General Electric (U.S.), and Schneider Electric (France). Contracts & agreements was the strategy most commonly adopted by top players, constituting 62.12% of the total developments, from 2013 to June 2017. It was followed by new product developments, expansions, and mergers & acquisitions. 11.5 Open Access Technology International, Inc.
11.8 Enbala Power Networks, Inc.